Learn how to master the Drop Dash technique in Sonic Mania. If you recently picked up Sonic Mania, you may be wondering how to Drop Dash. Sonic Mania is very much an ode to the old-school Sonic the Hedgehog goodness of the Sega Genesis era, but it also has a variety of new features and items that help it to feel fresh and new. One of those new features is the Drop Dash technique. In this guide, we’ll teach you how to Drop Dash in Sonic Mania. Below, we'll walk you through how to perform a Drop Dash in Sonic Mania. First off, it should be noted that even though Sonic Mania allows players to control Sonic, Knuckles, and Tails, only Sonic can perform the new Drop Dash technique, and you’ll see why in a second. The Drop Dash shares similarities to Sonic’s classic Spin Dash move, i.e. the move that players tended to use the most in the earlier Sonic games, in that it allows Sonic to gain a noticeable speed boost by charging forward in a ball. However, while the Drop Dash doesn’t require nearly the amount of “charge up” time as the Spin Dash, it also doesn’t have as much momentum and power. As such, it’s up to you to decide which is more useful in a given situation. 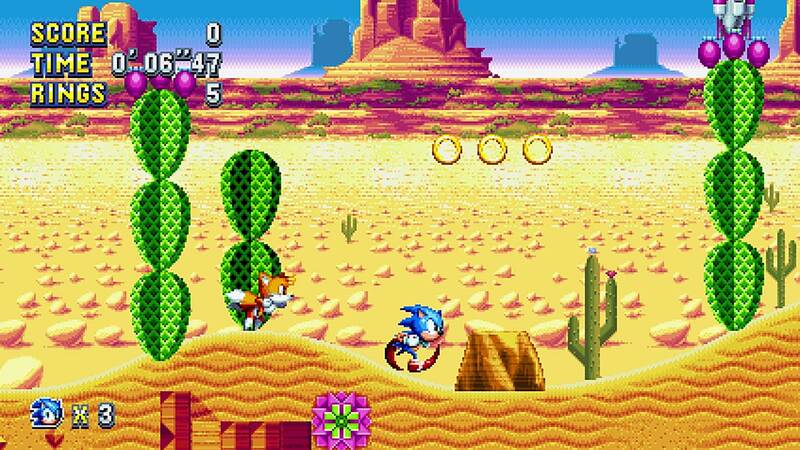 To actually perform the Drop Dash, all you have to do is hold down the action button whenever Sonic is in mid-air. Sonic will curl into a ball and shoot forward, but you want to make sure you continue to hold the action button as he hits the ground since that is what will allow you to keep the momentum going for the move’s entire duration. The action button, by default, is the same button you press to activate Tails’ flying move or Knuckles’ glide. Going by each console that Sonic Mania is available on, the default mapping for the action button is Y on the Nintendo Switch, X on the Xbox One, and Square on the PlayStation 4. Many of Sonic Mania’s stages have been redesigned to incorporate the use of the Drop Dash, so make sure you master the new technique sooner rather than later so that you can take full advantage of the game’s later levels. By reading through this guide, you should now know how to Drop Dash in Sonic Mania.